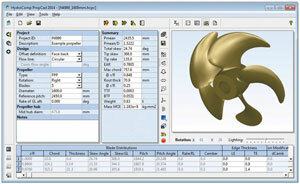 Design -ZHENJIANG JINYE PROPELLER CO.,LTD. Jinye propeller has enough experience and modern propeller technology to design the propeller with the parameters and requirements of the vessels. In the past 30 years, we have designed thousands different size and type propellers for the ship from yacht to huge tanker. We have professional engineering team to make the design depends on the vessels data and ship owners requirements by the latest high technology design software by simulation from the material analysis to production of the propeller. We have good cooperation with SDARI which can verify our design and help us to do the propeller design model experiment if it is necessary.